Whether it’s your child’s first time traveling or she’s a seasoned pro, Sensory Processing Disorder symptoms can sneak up and derail her fun. Discover ways to keep travel plans running smoothly and your child with SPD feeling good while you’re on the road. Traveling with kids can be an exciting, rewarding experience. It can also be stressful when routines are disrupted and new situations are encountered. 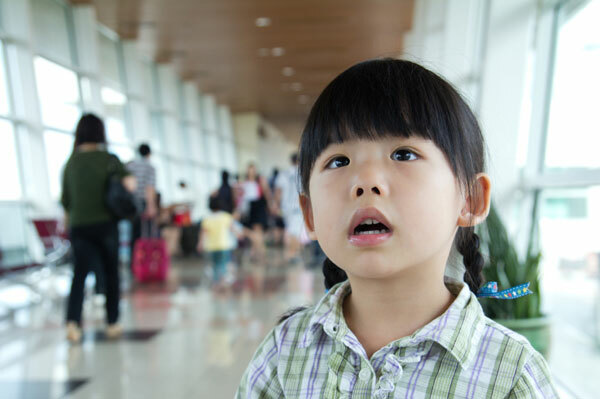 When you travel with a child with Sensory Processing Disorder, it’s especially important to take steps to avoid over-stimulation and meltdowns. Try these tips as you plan your next vacation. Put together a backpack full of things that help your child with his sensory issues. Consider it a small sensory diet to go. This Sensory Processing Disorder travel kit should be tailored to your child, and might include favorite soft blankets, headphones or noise blocking ear muffs, fidget toys, crunchy snacks and your child’s brush for brushing therapy on the go. Bring a portable DVD player with a variety of options for your child to choose from, depending on his mood. Kids with Sensory Processing Disorder thrive with routines. Routines help with transitions and help kids with fear of the unknown. When traveling, it’s almost impossible to adhere to routines like set mealtimes and bedtimes. However, you should try to incorporate familiar aspects of routines, such allowing your child to sleep with the same pillow. Before your trip, spend plenty of time talking to your child about what you’ll be doing and seeing, and what things might sound and feel like. For example, if you’re traveling by airline, talk about the sound of the engine and the feel of the air conditioning. You know your child best. If your child struggles with crowds, loud noises or flashing lights, for example, don’t force her into situations with those triggers. When visiting theme parks, talk to guest services about your child’s special needs. You should be able to get detailed information on attractions and rides, and in some cases may be given a pass to allow your child access to rides through an alternate entrance. Make it a priority to provide your child with a calming, sensory pleasing environment whenever you can. Be aware of your child’s meltdown warning signs and back off of activities if your child becomes agitated or overwhelmed. Your child may surprise you during your vacation. Give her space to explore and space to wind down from long, stimulating days. You may need to add extra time to your itinerary to make sure your child has a chance to run around, get some heavy work in or have some quiet time in a calming atmosphere. Allow her time to soak in new sensations and process them in her own way. She may need time to touch things or smell them. While you don’t want your child to run your entire vacation, it’s important to give her the chance to have fun on her own terms.